Getting your borders right can completely transform the look of your garden, so it’s important to put the time and effort into them early on. 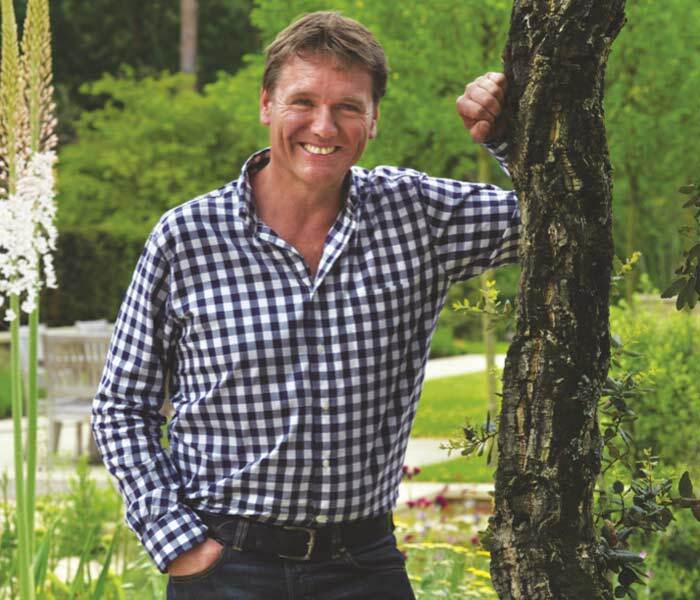 Herbaceous borders will bring your garden to life, and that’s why we’ve called on TV presenter and garden designer, Andy Sturgeon, for his expert tips and advice on how to prepare a herbaceous border. – Late Spring is the right time to divide overcrowded clumps and fill any gaps in your existing borders, so be sure to put aside some time to do this each year. – When working on your borders place a small wooden plan on the soil to stand on – this will avoid compacting the soil. – To start work on dividing overcrowded areas, lift clumps of perennials and place them on newspaper on the lawn – be sure to avoid sunny days when you do this as this can dry out the roots. Then, rearrange the clumps, taking care that any repositioned taller perennials will not overshadow shorter ones. – Once you are happy with the new layout you have created, replant the perennials in their new positions. Dig plenty of compost into the soil beneath each plant and ensure that you water these well during dry spells. – Then, lift and replant wayward self-sown seedlings into the positions you prefer – alchemilla, foxgloves, Verbena bonariensis, sedges and pheasant grass are all plants that will relocate easily. – Plant up pots of lilies to slot into any gaps that develop in the border later on in the season. – Add a generous layer of mulch, bark or even rotted organic matter to feed the soil and suppress weeds. Spread this on after a downpour, making sure that you keep this away from stems of your plants. As a TV presenter, author and garden designer, it’s fair to say that Andy Sturgeon knows what he’s talking about when it comes to gardens. Andy has designed countless gardens for clients all over the world.